In Potosí, the richest city in the Western Hemisphere, Inez de la Morada, the bewitching, cherished daughter of the rich and powerful Mayor, mysteriously dies at the convent of Santa Isabella de los Santos Milagros, where she had fled in defiance of her father. It looks as though the girl committed suicide, but Mother Abbess Maria Santa Hilda believes her innocent and has her buried at the convent in sacred ground. Fray Ubaldo DaTriesta, local Commissioner of the Inquisition, has been keeping an eye on the Abbess, who is too "Protestant" for his tastes, and this action may be just what he needs to convince the lazy, cowardly Bishop to punish her. At the same time, Potosí finds its prosperity threatened. 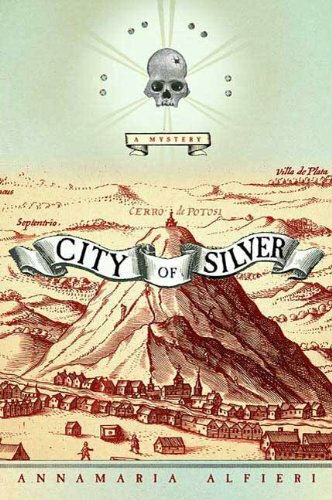 The King of Spain has discovered that the coins the city has been circulating throughout the world are not pure silver and is sending his top prosecutor and the Grand Inquisitor to mete out punishment. With the imminent arrival of the Spanish officials, many have reason to prove their loyalty, and keep hidden the crimes and sins they've committed. With her life at stake, Maria Santa Hilda finds herself in a race against time to prove the true cause of Inez's death, aided by her fellow sisters, a Jesuit priest with a dark secret from his past, and a tomboyish girl who's run to the convent to avoid an unwanted marriage. Together they will discover that Inez was not the girl she seemed, and that greed has no limits. Annamaria Alfieri writes with astounding detail, showing an appreciation for the complexities and social nuances of this intriguing time in Latin American history when politicians, religious leaders, and an indigenous people all competed for power and survival in the thin mountain air of the Andes.